Shrewsbury and Telford Hospital are looking to recruit the next cohort of trainee ACP's within the Trust. This exciting new and challenging role will be part of the non medical workforce over acute/general medicine and emergency care. 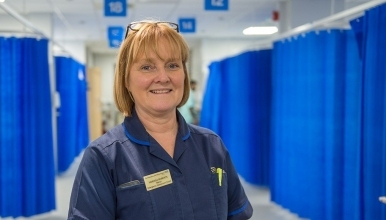 We are looking for individuals who have extensive experience in emergency and acute care and are committed to following an advanced clinical practice Masters pathway. Within this cohort we will be recruiting from nursing and physiotherapy backgrounds with a minimum of 5 years post graduate clinical experience 3 years being at band 6 level or above. As a Trainee ACP you will be part of a wider ACP team on a structured academic and clinical training programme and be expected to gain a full Masters in Advanced Clinical practice including a non medical prescribing qualification. Full consultant mentorship will be provided with internal education through the ACP faculty. The training post will consist of a clinical rotation through medical specialities to give the trainee a rounded approach in their clinical training. On achievement of all academic and clinical qualifications this post will progress to a Band 8a and potentially beyond.